It’s the season of giving… And that’s why they are going to make dreams come true with Jacaranda FM and Good Morning Angels, Festive Edition. If you know of someone in need this festive season, send an email to [email protected], with “Festive” as the subject to help us change lives this December. 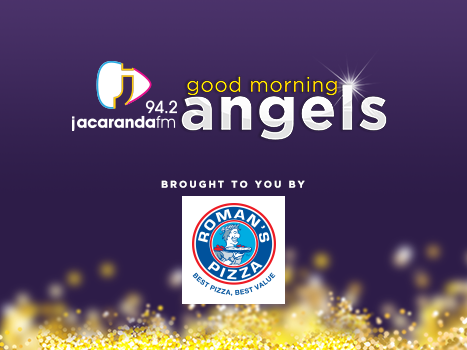 Listen to the Festive Edition of Good Morning Angels, in association with Romans Pizza, on Breakfast with Martin Bester every weekday morning from 26 November to 7 December and help us make a difference.